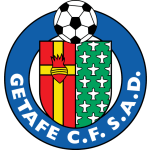 Leganes vs Getafe predictions for this Friday’s South Madrid derby in Spain’s La Liga. Read on for our free betting tips and predictions. The big Madrid derby aside, this is the fiercest local rivalry in the Spanish capital with less than five miles separating Leganes and Getafe. It’s not a game that has been played out on the big stage all that often though with this only the third top flight fixture between the sides. Getafe shaded the clashes last season but they take on a Leganes side that is just coming into form here. Even if this wasn’t a derby, there’d be every chance that this would be a physical, dirty contest. Getafe have been consistently the side in La Liga to commit the most fouls since returning to the top flight and are certainly not a team that’s particularly easy on the eye. They may not admit it, but Leganes to a large extent are trying to replicate the success of their near neighbours with a fairly direct, physical approach under new boss Mauricio Pellegrino. The former Southampton coach has guided them to three straight wins in all competitions heading into this game. Those results have lifted them out of the drop-zone and they would suddenly be 8 points clear of the bottom three were they to win this. They’ve always looked pretty solid at home under Pellegrino but to end a long away winless streak and score four goals at Valladolid last weekend would have been a huge boost to morale. Getafe have reason to come into this with confidence too though. They’ve earned a defensive reputation since returning to La Liga but have hammered in 8 goals in their last 2 games, defeating Espanyol 3-0 last weekend in the league before putting 5 past Cordoba in the Copa del Rey. The visitors have the added incentive of moving above Real Madrid and into 5th with victory here. In truth local pride should be motivation enough but this is a very tough game to call and with both sides looking tough to beat, it would be no surprise to see it end level. Leganes are unbeaten in 6 competitive games heading into this, drawing 3 of them while they’ve only suffered one home defeat so far this term. Getafe have only lost once in 7 league outings away though with 4 of those matches ending level and backing the Draw could be the way to go in the Full-Time Result market here. There looks to be some value in going for Both Teams to Score also at generous odds. Both sides have suddenly been having some joy in the final third with the likes of Angel and Guide Carrillo in good touch in front of goal. While both teams have relatively defensive reputations, 71% of Getafe’s away league games this term have seen goals at each end. They’ve scored in 86% of those matches while Leganes have netted in 86% of their home games. Leganes are on a four-game unbeaten streak in LaLiga (W2 D2). If they avoid defeat versus Getafe, it would equal their best unbeaten streak in the top-flight (five games). Leganés have only won one of their 13 Madrilean LaLiga derbies (D4 L8), 1-0 against Rayo Vallecano in October. Getafe are unbeaten in their last six LaLiga away games (W2 D4), their best streak away from home in the top flight. Getafe have only won one of their last eight Madrilean LaLiga derbies (D1 L6), but it was in their last such game against Rayo Vallecano (2-1) in October. 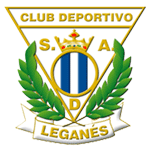 In their last league game, Leganes scored three headed goals in a single LaLiga game for the first time. Getafe are the only LaLiga team to have scored 100% of their goals from open play this season (15/15). Getafe’s Jaime Mata has scored in each of his last two LaLiga appearances (two goals) and could become the first Getafe player to score in three games in a row since Adrián Colunga in March 2013. Getafe’s José Bordalás has only won one of his last five managerial meetings against Leganes in all competitions (D2 L2), with Getafe at Butarque in September 2017 (2-1).